Post a translation job on the world's largest Crowdsourcing site with over 12 million users! Receive instant access to 100,000 professional translators ready to handle your translation job! Translate English short text into Chinese (111 words). "great as always very efficient and professional. Won`t be disappointed." 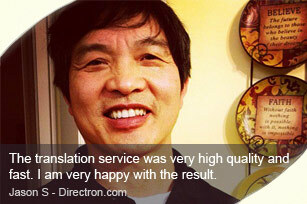 Have Questions About Our Professional Translation Services? Who will provide me the professional services? Translations will be done by the provider you choose from our 100,000 highly skilled translators from around the world, it is 100% human-powered. Witmart takes on translation requests of all sizes. How many translations (samples) will I receive? 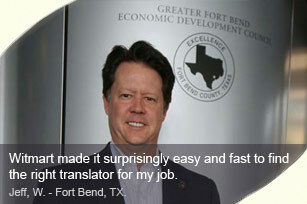 You can expect to receive multiple translation samples or results from some of our 100,000+ translators on Witmart.com. The number of translations you'll receive is typically based on your job requirements and the job reward amount. For a Contest Job, you may cancel the job and get 80% refund if the job is not awarded; for a Contract Job, you may cancel the job before it is awarded, USD 5 posting fee and featured service fee are not subject for refund; if the job is awarded with prepayment and service provider started to work already, you will first need to pay for what had already been done by service provider. You may then cancel the job to get refund for the remaining part of your payment with a deduction of 20% (min USD 5) service fee charged by Witmart. Please read “Cancellation and Refund Policy” for more details on exemptions and exceptions. How can I be sure that I will select a qualified translator? How can I select if I do not know a foreign language? You select translator not by quoting, but by actual translation works or samples you required, therefore you "test" the abilities of the translators before you decide to work with them. You also have the option of choosing the Witmart Quality Assurance Service to assist you with choosing a translator if you need us to help you evaluate translation works or samples. We offer the best rate in the industry starting at a meager US$0.029 per word and US$9 per job. You set the actual price above the minimum rate. Can I receive help and assistance for my translation job? Yes, you will receive one-on-one assistance from one of our dedicated Account Managers by calling 1-877-WITMART(1-887-948-6278) or by emailing help@witmart.com. With offices in US and Canada, we make all the efforts to ensure customer satisfaction in using Witmart services. Post a translation job and receive results in under 24 hours!